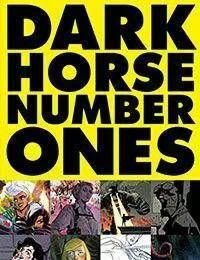 Dark Horse brings you eight complete first issues of series by top industry talents to introduce you to your next favorite read. Fantasy, mystery, sci-fi, adventure, and horror tales open the door to new storytelling worlds. Including Gerard Way and Gabriel Bas Umbrella Academy #1, Mike Mignolas Hellboy in Hell #1, Joelle Jones and Jamie S. Richs Lady Killer #1, Jeff Lemire and Dean Ormstons Black Hammer #1, Matt Kindt and Sharlene Kindts Dept. H #1, Brian Wood and Mark Chaters Briggs Land #1, Kurtis Wiebe and Mindy Lees Bounty #1, and Cullen Bunn and Tyler Crooks Harrow County #1.